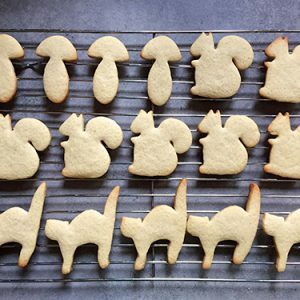 Here are some smart dinner recipes that the whole family can enjoy! As part of our COA Mind & Body program we believe that eating well is a learned experience, one passed on by the parent. By opening up the world of “nourishing” food children make better food choices and develop a healthy respect for nutrition. 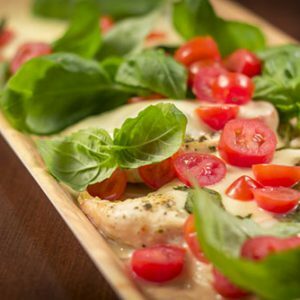 quick recipes and monthly tips. the whole family can enjoy! “Meatloaf again, mom?” Well, think again, kids! 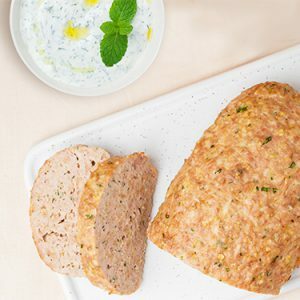 We guarantee if you make this salmon loaf, your crowed will be wowed! This dish is definitely not your mom’s or grandma’s meatloaf! 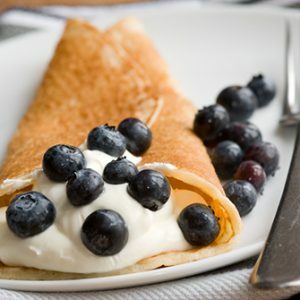 These scrumptious Ricotta Filled Crepes are stuffed with creamy, high-protein ricotta cheese to make breakfast a little extra special, even when you don’t have a ton of time. The batter comes together fast in the blender and the filling is made from just two simple ingredients. Serve them with fresh berries for a “splash” of color, antioxidants, and a juicy burst of flavor, too. Inspired by the classic appetizer, this full meal is made on only one sheet pan and quick enough for a weeknight. Serve it with whole-wheat spaghetti pasta tossed in olive oil. Between dropping off and picking up the kids, a full day’s work and the endless demands of the day, Mom’s need quick and easy dinner recipes that deliver nutritional value and help to turn dinner-time into family-time. As part of our COA Mind & Body program we believe that eating well is a learned experience, one passed on by the parent. By opening up the world of “nourishing” food children make better food choices & develop a healthy respect for nutrition. We know you are superstars both on the job and at home but every star needs a break once in a while. Let COA Apple-A-Day Blog help you with quick recipes and monthly tips.